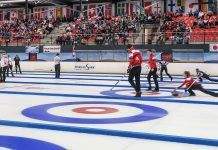 (ISN) – The 12-country field for the 2015 Ford World Men’s Curling Championship is now complete. 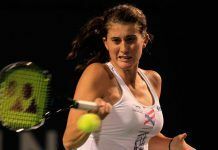 The United States clinched the final berth into the Ford Worlds, March 28-April 6 at Scotiabank Centre in Halifax, on Saturday in Blaine, Minn., completing a three-game sweep of Brazil in the best-of-five Americas Zone Challenge. Sarnia, Ont., native and former Canadian mixed runner-up Heath McCormick skipped the U.S. team to three straight victories over Brazil’s Marcelo Mello, completing the sweep Saturday night with a 9-3 victory. 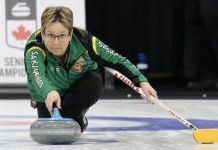 Team Canada — the winner of the 2015 Tim Hortons Brier, presented by SecurTek Monitoring Solutions, Feb. 28-March 8 in Calgary — will open the 2015 Ford Worlds against the U.S. representative, which will be decided at that country’s national championships in Kalamazoo, Mich. The Canada-U.S. game is scheduled for Saturday, March 28, at 7:30 p.m. AST. The other qualified countries (representative teams will be named in the next few weeks) besides Canada and the U.S. are China, the Czech Republic, Finland, Italy, Japan, Norway, Russia, Scotland, Sweden and Switzerland.